Is It REALLY That Easy To Sell Your Home In Today’s Real Estate Market? The market may still be sizzling this summer, but are you losing money by asking too much? 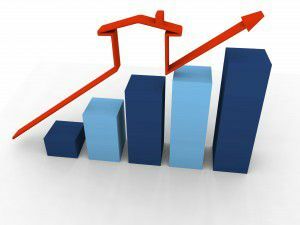 The Santa Clarita real estate market has had a pretty good summer so far. Condos are up $15K from the previous month, and the median price of single family homes are holding steady at over $500,000. Interest rates, despite fears of being raised by the Fed, are actually once again below 4 percent. Available homes for sale still falls slightly short of statistical averages (881 homes available for sale in July, according to the Southland Regional Association of Realtors). So why on earth should you still plan a sales strategy for your home if it’s just going to be gobbled up by scores of buyers? There are several more factors that an appraiser will take into consideration, but the above criteria are usually what real estate professionals will use to begin to assess your home’s Fair Market Value. There is really no way of knowing your property’s value until we can obtain the basics. This means of course, your property address. From there, we can begin to assess Fair Market Value using the information above. Are you ready to find out your home’s value? If so, click here to begin the process, and we will provide you with a comprehensive market data report that will include an assessment with a potential selling price of your home.